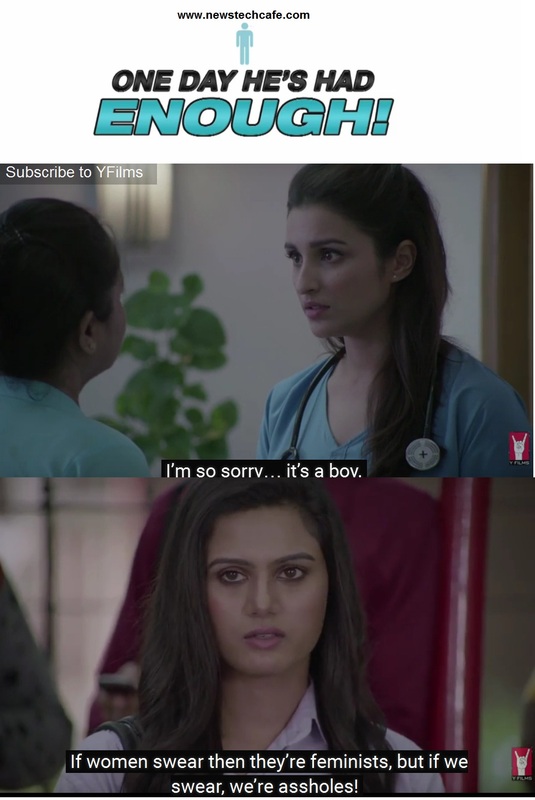 Y Films, India’s leading movie studio, is premiering the biggest multi-starrer series on the internet, Man’s World, on September 29, on YouTube. The trailer of the four-part series launches today on YouTube.com/YFilms. The series is written and directed by Vikram Gupta, who has earlier directed the Ching’s ‘Hunger Ki Bajao’ campaign TVCs, starring Ranveer Singh and produced by YRF. The lead protagonist of the series, Kiran, is a man who believes the world is unfair to men, and soon finds out how unequal, uncomfortable and unfair the treatment to women really was, when he faces gender discrimination as a man in a world that gets ‘flipped’. Kiran is played by Gaurav Pandey, who is being launched by YRF in the series. An exclusive, one-time only premiere of the full series will happen at the 6th Jagran Film Festival, at its final chapter in Mumbai, on October 1 at 8.30 pm at Fun Cinemas, Andheri West.